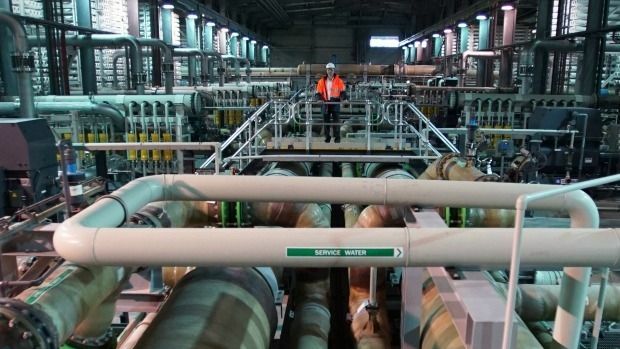 Labor/Greens massive unused white elephant desalination plant is now unusable. Rats have eaten the wiring apparently, as the labor boondogglers try to start up the plant during a very wet, flooding, Victorian winter, spring and summer. […] “Daniel Andrews sat around the cabinet table when the decision was made to waste $24 billion on a desal plant we do not need and now does not work,” said Shadow Minister for Water Peter Walsh. All because a certain Tim Foolery Flannery declared Australia in a permanent drought because of all that hot air called CO2 emissions. That could not have been further from the truth. A little bird told me that rats have eaten through the electrical cabling at Victoria’s biggest white elephant, the desalination plant located in Wonthaggi, east of Melbourne. Read it all. Victoria is on the road to ruin, alongside South Australia. This entry was posted in Climate, comedy, energy, Environment, Oz politics, technology, weather and tagged carbon emissions., catallaxy files, climate change., comedy, greenhouse gas emissions, judith sloan, politics, science and technology, weather, wonthaggi desalination plant. Bookmark the permalink.